Nothing beats a great mac n cheese and this recipe for Gouda Mac N Cheese is nothing short of perfection! As a child I remember my grandma buying the Kraft mac n cheese and I wouldn’t want her to make the sauce…. I just used the powder that it came with to dip my macaroni into. What can I say, I was kind of picky. As I got older Kraft Mac n Cheese was a staple … it was probably one of the first things I cooked on my own. I clearly remember using a hot pot to make it daily when I first went away to college. These days I can appreciate a really good cheese, and while there are certainly times that call for Kraft (yes I did just say that!!!) most times I would prefer to just make my own. Its crazy how easy it is to do, and bonus? I almost always have everything to make it! It can be made in an instant pot but it doesn’t really save you any time and often the pasta ends up being too mushy so I don’t recommend this method. A second option for easy mac n cheese is in the crock pot or slow-cooker. You can mix everything up the night before and turn it on when you need it too begin cooking. This method is perfect if you wont be around to start the cooking and you can direct someone to start it when the time is right! My favorite method for the best mac and cheese is on the stovetop. It offers several advantages. To make smaller or larger batches you only need change the size of your pot. In my book there is nothing worse than eating creamy mac n cheese that you can’t tell the difference in the creamy cheese sauce and the pasta. The best cheesy macaroni should have an ever so slight firmness to the bite (also known as al-dente) and coated in a rich creamy, velvety sauce. THE #1 tip for cheese in homemade sauces? Buy the block of cheese and grate it yourself! 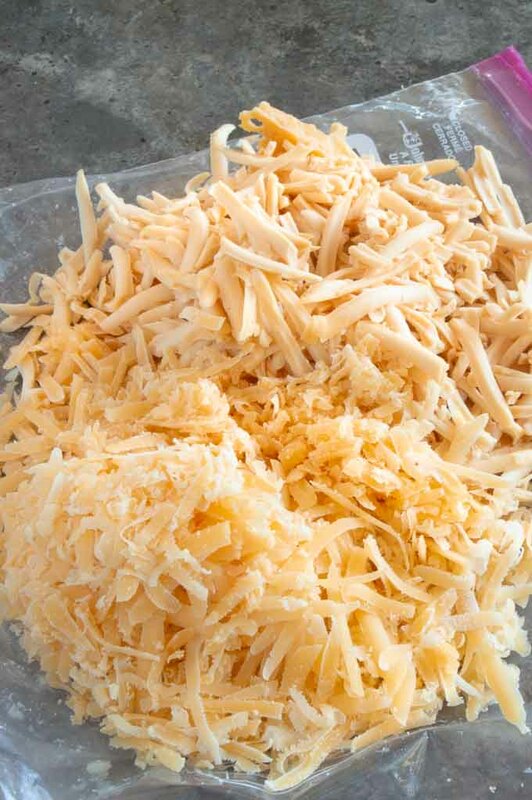 I know a time-saver is to buy the cheese already shredded. But I don’t recommend this at all. Those time saving packages are not only more expensive, but they have anti clumping additives on them that when you use them they dont completely melt all the time. They sometimes have an odd taste as well when melted. It takes just a couple of minutes. Just grate it yourself!! 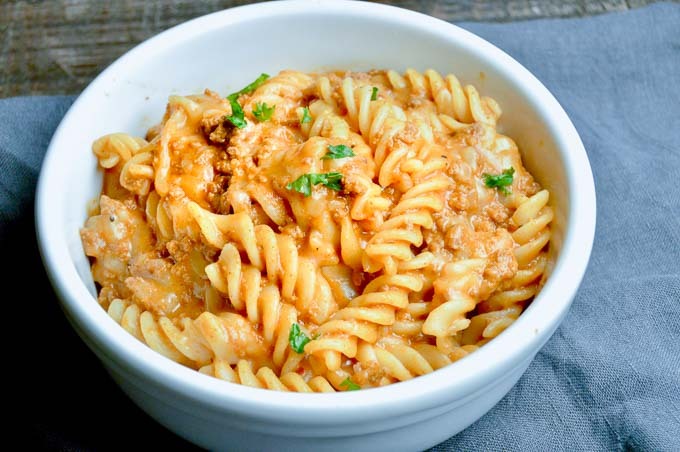 Pasta shapes like rigatoni and penne where it can fill up the tubes, elbows or shells that can fit inside or rotini where it can be in between the spirals. But don’t worry any pasta will work. I’ve certainly made homemade macaroni and cheese with spaghetti and it stilltastes amazing. But then again it’s the cheese sauce and wouldn’t most people eat the sauce like a soup if they could! 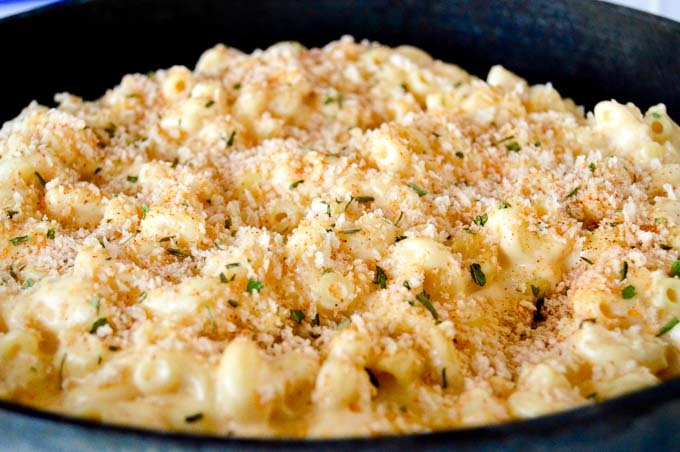 WHAT IS THE SECRET CHEESE THAT MAKES THIS GOUDA MAC N CHEESE INCREDIBLE? Today Im sharing the recipe Gouda Mac n Cheese that uses 2 kinds of gouda. A regular creamy gouda and a smoked gouda. Combined they are magnificent. I added a small amount of goat cheese (yep, thats the surprise ingredient.) The goat cheese has a more acidic flavor that really balances out the richness of the gouda. This recipe is so simple. Mac n cheese is really just a béchamel sauce added to pasta. This recipe is from the cooking school I attended. They gave us a basic formula for the sauce, and said to flavor it up with our favorite cheese/cheeses. Over the years Ive used lots of cheeses when making this, so its versatility is fantastic. I made this for our family meal, then got the individual servings all set up the night before I was planning on serving them for a get together. How to make the right creamy and velvety cheese sauce for the best Mac n cheese? 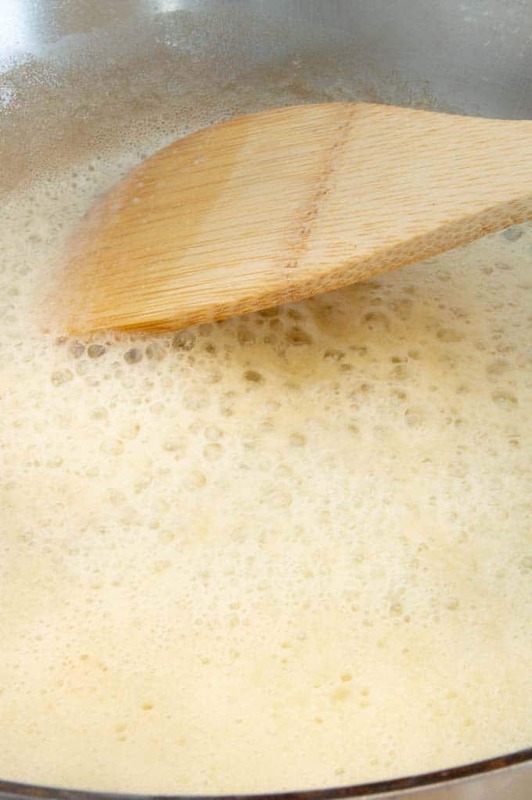 Im going to share the best way to make a successful roux for the creamiest yet perfect thickness for the cheese sauce. Its all in the mounting of the sauce. You will add the flour and whisk and stir until its thoughtfully mixed in. Getting all the lumps out means no lumpy flour bits in your sauce ! You’ll cook the flour for a few minutes to get rid of the flour dry taste and allow the nutty flavors to come thru. Once the flour is cooked through you’ll add the milk/cream and let it simmer while stirring it continually. You’ll know when its time to add the cheese when the base is thickened. As you are stirring it you can feel the sauce getting thicker.! Once its thickened you’ll add the cheese and stir until combined. (See my # 1 tip about grating the cheese yourself above!) You can also add any other spices you want to add at this time (I add nutmeg, but have also added extra spices like tarragon, chili powder or paprika depending on what Im serving it with. Although my favorite add in spice is my homemade cajun seasoning mix! Want an easy panko topping for making it a little fancier or adding a buttery texture? 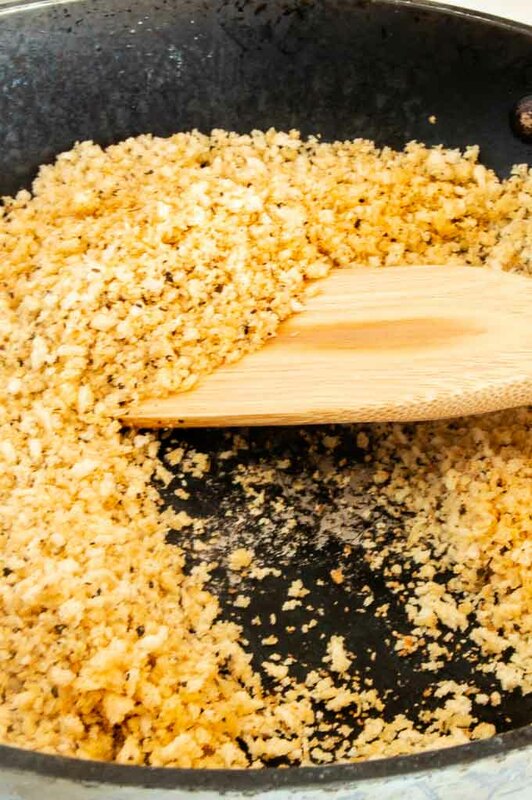 Make this easy panko crumb to sprinkle over the top.. 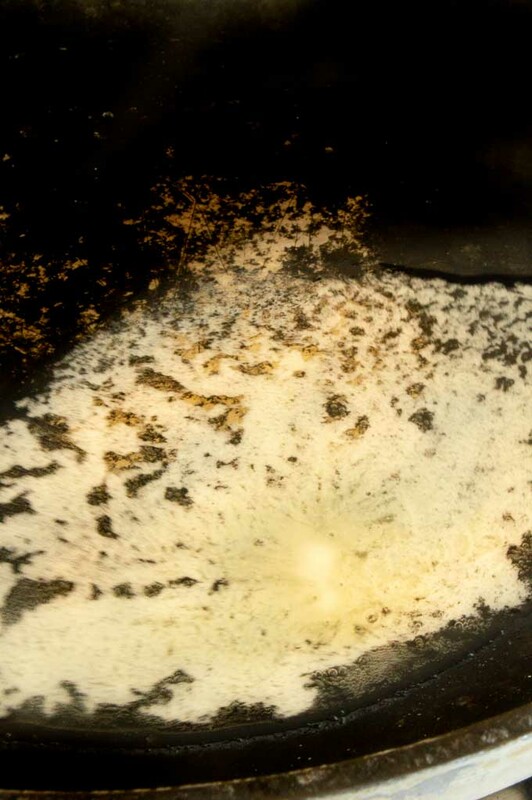 In empty skillet, toast Panko, remove from pan. Melt 1-2 tablespoons butter in a pan. Once all are combined sprinkle over top or serve on side for each person to add their own! MAKE AHEAD? Yes definitely. It easily warms in the oven. I usually make it the day before, then have it in the individual serving pieces for a party. OPTIONS: Feel free to substitute cheeses if you don’t have gouda or goat. Cheddar and a flavored cheddar are great options for the gouda. Cream cheese would be a great substitute for the Goat cheese! I love anything with bacon so I usually serve a bacon nest on the side like I have shown in the pics. 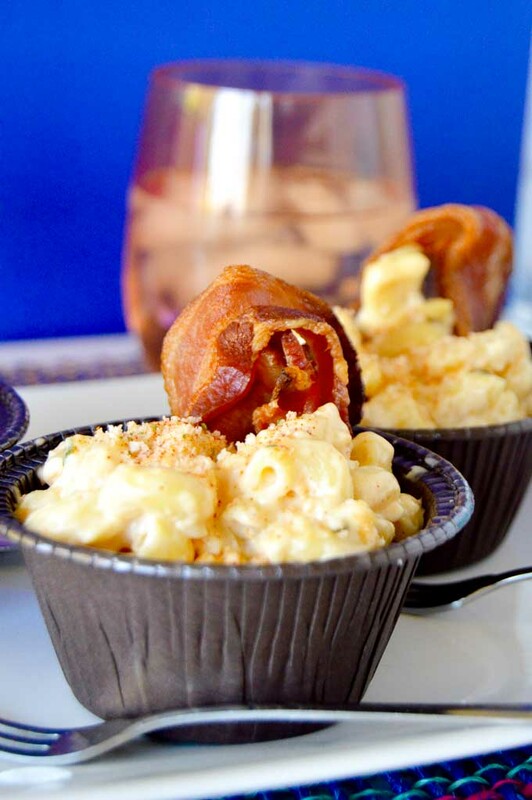 You can make your own bacon nests by checking out my Bacon Potato Nests! 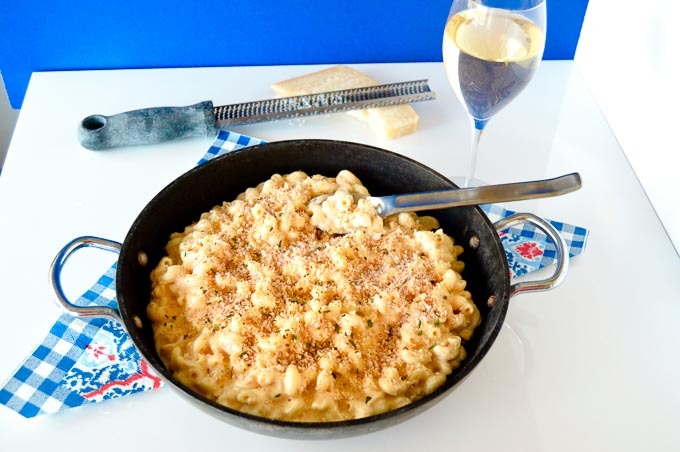 Need ideas what to serve this Gouda Mac n Cheese with? 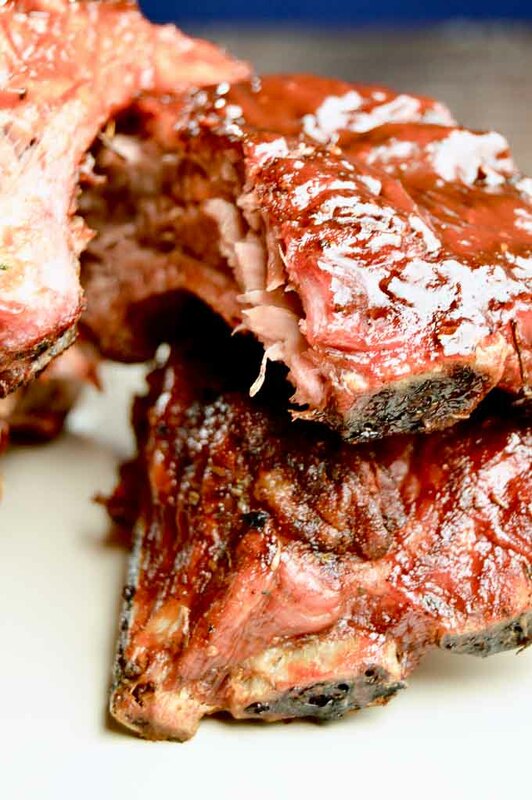 MORE SAUCY RECIPES YOU MIGHT ENJOY! Fill a stockpot with water, add salt and bring to a rolling boil. Once water is boiling, add pasta and cook to package instructions. Do not overcook. You want the pasta to be al dente... not mushy. When pasta is done, drain and set stockpot aside. While pasta is cooking, in a separate sauce pan, melt the butter on medium high heat. Once the butter is completely melted, add the flour and whisk until completely combined. Allow flour to cook for 60-90 seconds to allow the nutty flavor of the flour to come out. While whisking the flour/butter mixture add 1/2 cup at a time the milk. The first couple of times you add the liquid, it will take quite a bit of whisking to get it to incorporate. Continue this until all milk has been added. Continue to stir the milk/flour mixture until the milk thickens. You will know when it is time to add the nutmeg and cheese when you run your finger on the back of a coated spoon and the milk/flour mixture holds the position. Once the liquid has thickened add the nutmeg, and all cheeses stirring until well combined. 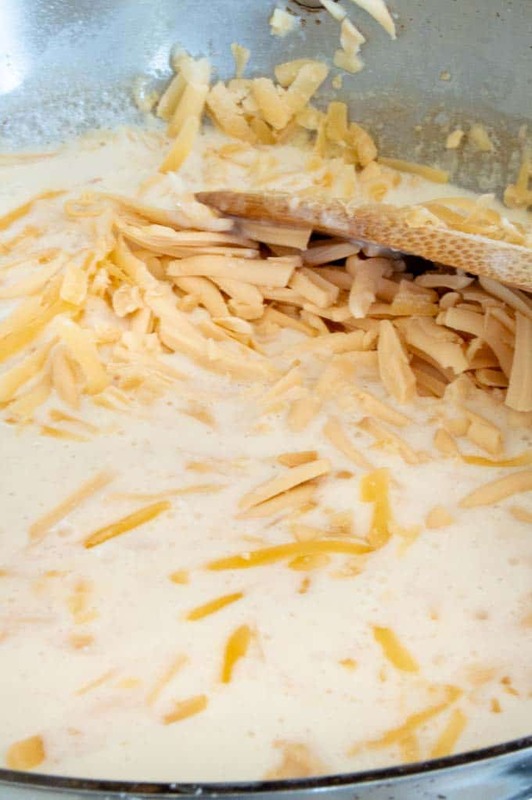 Once cheese is fully incorporated, pour over the top of cooked pasta and stir to blend well. Heat skillet to high, add panko, stir constantly until golden brown. remove from skillet and set aside. Melt butter in same skillet, then stir everything together until all is coated. Once fully mixed together you can sprinkle over top before serving. Pour mac n cheese into a large serving dish and sprinkle topping before serving. You can prepare individual servings and then sprinkle over the top as well. If you make this the night before, you can heat in a 300* oven for 20-30 minutes if a family portion or 15 minutes for individual portions. This looks really cheesy! I love it! Oh smoked Gouda! That’s brilliant, I never thought of using two different gouda. Totally delicious and I’m going to make this again soon. I ended up making a huge batch for my mother in law too because she goes crazy for mac and cheese and I know that she will appreciate it. If making the night before do we put the topping on and the refrigerate or make the topping the day of and apply after reheating in the oven? I have done it successfully both ways. I prefer making it all ahead of time, putting it on so that all I have to do is reheat it the day I need it. Hope you enjoy it! In my opinion, this would have been great without the nutmeg. 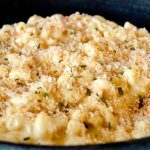 I have made this type of Mac and cheese before with other cheeses, but no nutmeg, and all my kids loved it. I also omit the topping. My husband liked it though with the nutmeg and topping. OH FOR THE LOVE!! I finally got around to making this for dinner and it was AMAZING !!! 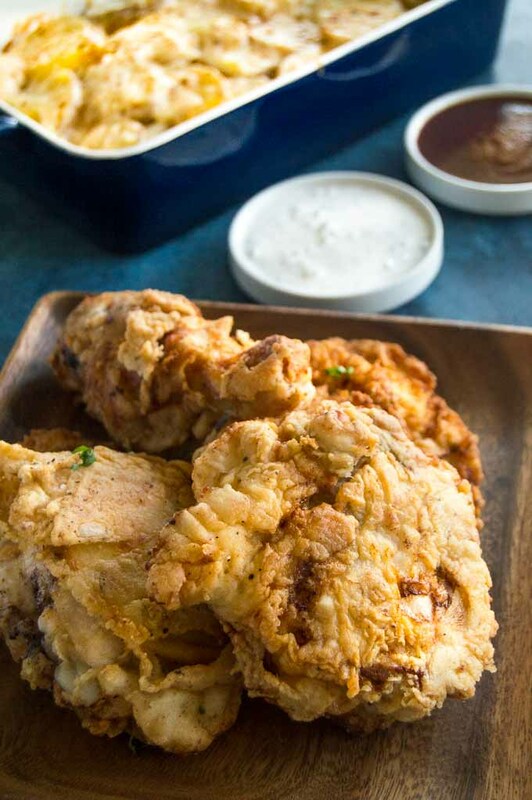 20 minutes for this amazing creamy recipe? Sign me up!! It looks so delicious. Pure comfort food! I can’t believe how well the goat cheese worked in this! My kids Loved it! Gouda is great, but you totally had me at goat cheese. This mac and cheese is magnificent! This is my FAVORITE kind of mac & cheese! I grew up eating something similar (although not with the fancy gouda blend!) and I still can’t get on board with the fancy recipes that call for breadcrumbs, crackers, baking in the oven, etc. I’m a simple girl with simple needs…give me a bechamel and I’m good! I love the addition of goat cheese and smoked cheese, I’m sure this is fantastic! Now this is mac and cheese. A mac and cheese that will make me feel like, uhm, an adult ha! Love that it freezes well too. 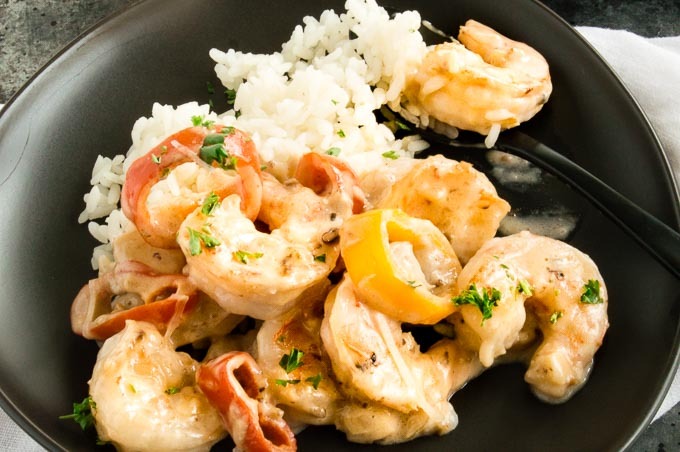 It’s a great dish to prep ahead and just re-heat at the end of a busy work day. This looks so good! I’d never thought about trying gouda before even though I love it. Can’t wait to try! 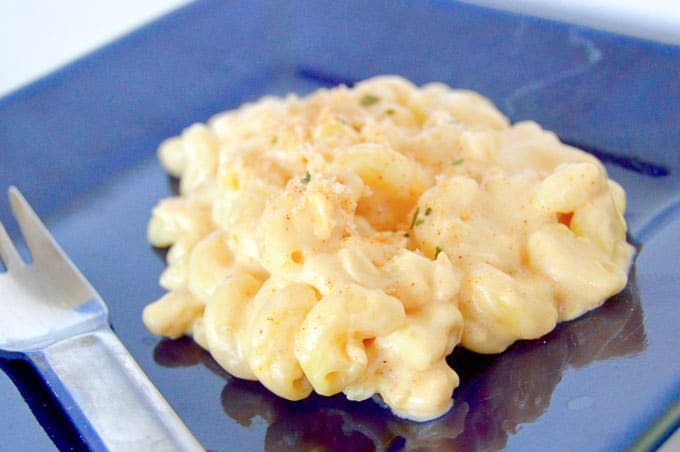 Love Mac n cheese and this looks yum!